The 2018 Holiday Tournament was a great success. Check out the results! Congratulations to all the winners, thank you to everyone who attended, and thanks to the volunteers and sponsors who make these events possible. See you again in 2019! Pre-registration for the 2018 Holiday 660 Tournament is now open! Call Joe Kapp at (574)-222-0202 to reserve your spot. No online payment. Entry fees will be collected at the event. You may also sign up for your spot with SignUp (the leading online SignUp reminder tool) to organize our event. 1) Click our button above. Note: SignUp.com does not share your email address with anyone. If you prefer not to use your email address, please contact me. I can sign you up manually. We are organizing a Home School Archery Club. 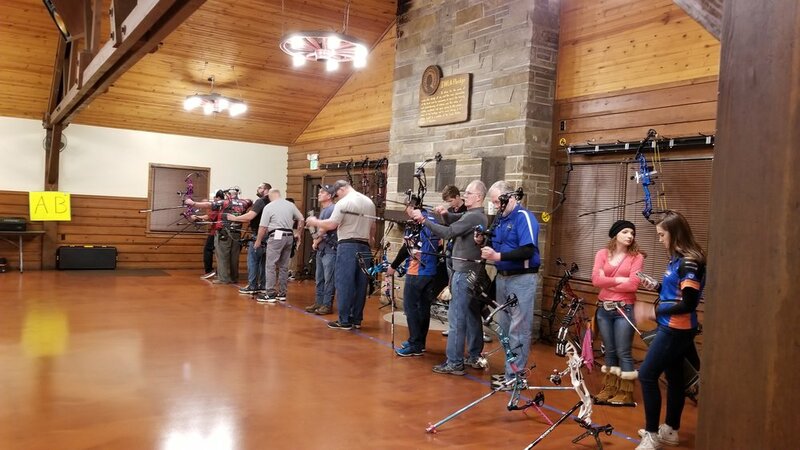 Connecting the Michiana Home School Community with Michiana Archery is a win & win situation! Learn archery techniques as a beginner or advanced student. We will have USA Archery certified instructors with decades of teaching experience with youth and archery on hand to handle all skill levels. Incorporating history and literature with the physical, social, mental, and emotional benefits of archery are our goals along with having fun! Classes are forming. We could use your input. Please call or visit our Home School Archery Facebook Group. Interested in Bowhunting? Don't know where/how to start? Michiana Archery will soon offer Explore Bowhunting, a program designed by the Archery Trade Association. We are pleased to announce our new archery partnership with Bend of the River Conservation Club. Tentative date is Sept 9. Call 574-272-5300 to register or express interest. At $949, the Hoyt Nitrux is the most affordable, high performance Hoyt hunting bow made to date! All the speed you will need at 333 FPS. Weighing in at only 4.1 lbs, the Nitrux was made to move through the woods with ease. 31.5 inches axel to axel with a 6.5 brace height. Stop by the shop to check it out. We are raffling off a 2018 Bear Archery Kuma Compound Bow! Just 60 tickets will be sold at $20 each. Proceeds will be used to benefit Bend of the River Conservation Club. Choose your color, left or right hand. $900 value! Get your tickets at our location soon! Congratulations to our latest class of USA Archery Level 1 Instructors. We take youth archery very seriously and train the most capable and caring instructors. New classes are forming soon. Contact us for information. We recently made a deal with Win & Win Archery and are pleased to announce that we are now able to sell their bows online through our new Win&Win Store. This is very special because as many of you know, you usually can not buy new bows online, especially high quality target and hunting bows. Thanks to this deal, now you can shop from the comfort of your home! Win & Win only has 5 USA authorized dealers, though their bows are very well known in archery circles. Their recurve line is shot by the South Korean Olympic team, and has helped the South Korean athletes stay on top of the podium. Check out our full line of WIN&WIN bows! Warm weather's here and it is time to shoot outdoors! The Izaak Walton League of South Bend is home of the Field and Hunter 10 Week Archery League. It begins May 22nd. If you are interested, contact us at Michiana Archery for info.